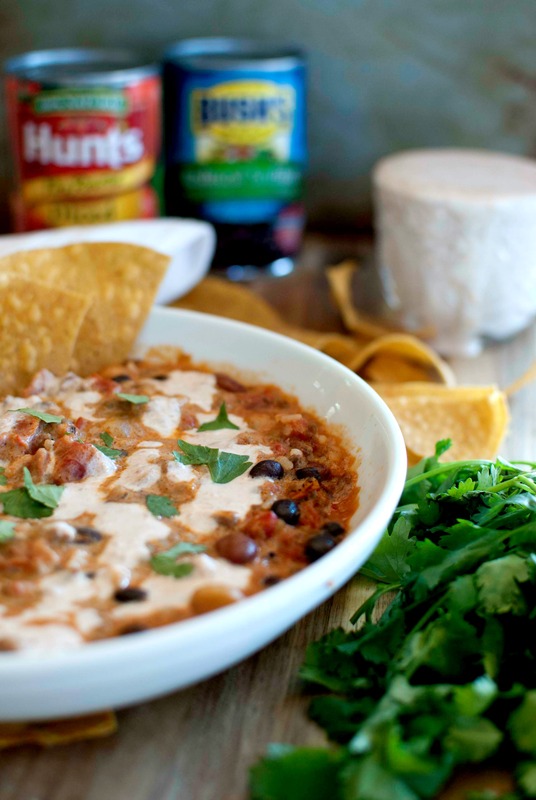 Easy enchilada soup with ranch salsa, a warm, comforting winter soup any night of the week! It’s soup season! Well, it’s supposed to be… has your winter been hot and cold?? I love a warm soup on a cold night. 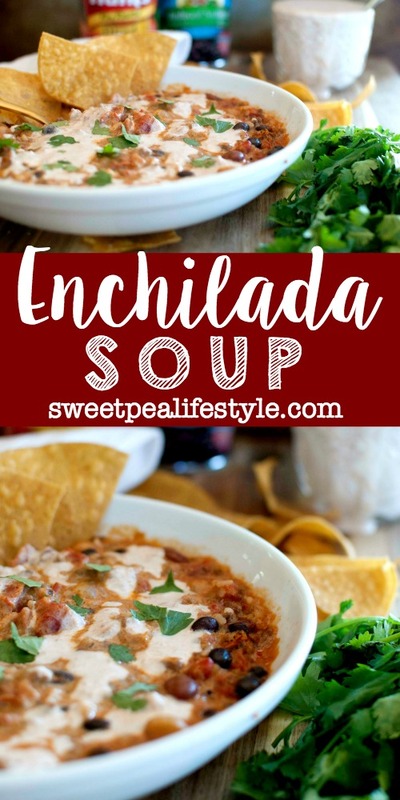 Especially a soup like my enchilada soup that is super quick to throw together. You can even put this entire soup in your slow cooker before you leave for the day, and have it waiting for you when you arrive home. The smell is DELICIOUS! Here in North Carolina, it will be snowing one day, 60˚ the next…. CRAZY! 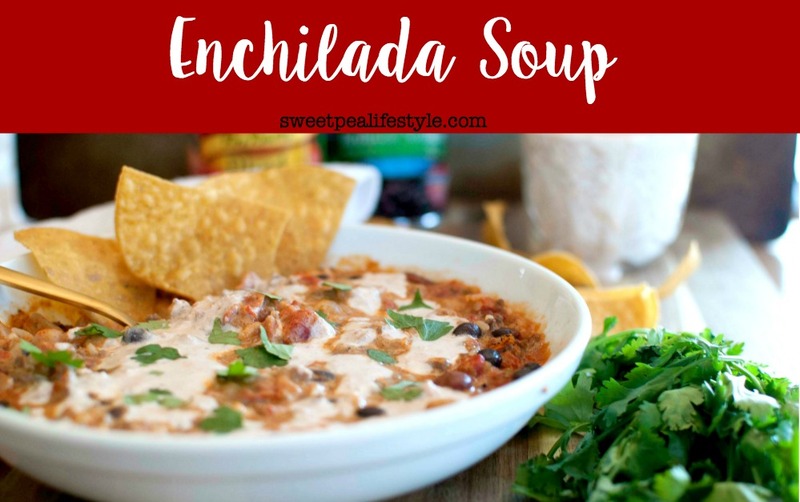 Enchilada soup is sure to warm your belly on a cold evening, and spice it up on a warm one. You could easily double this and freeze in individual containers for lunches, or dinners anytime. This makes a great meal to take to a needy family! Who doesn’t love Mexican?! 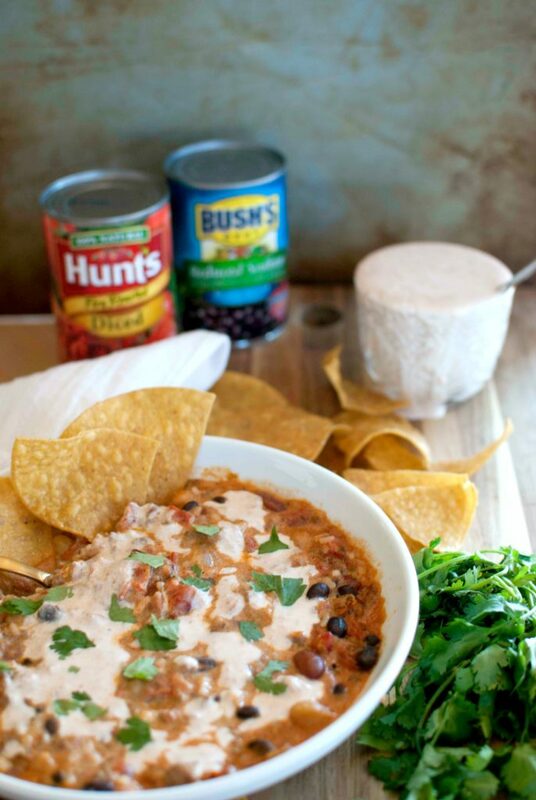 A hearty, warm soup any night of the week! In a large soup pot, brown ground beef over medium high heat. Once browned, add in diced onions. Cook until translucent. Stir in tomatoes, Rotel, beans, seasonings, and water. Simmer for twenty minutes. Add rice and cream cheese, and stir until melted. Check for necessary seasoning adjustments. 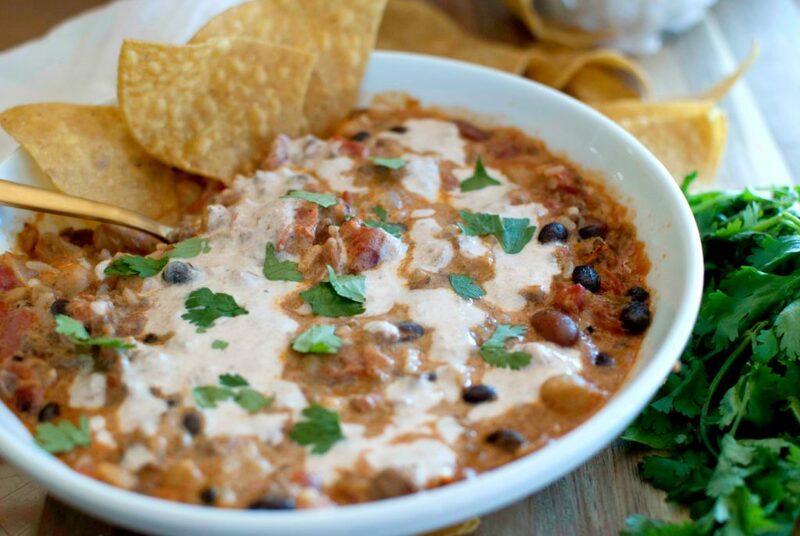 Serve with Ranch Salsa (recipe to follow), tortilla chips, and various "taco toppings." This can also be made in a crock pot. Brown meat, and throw all ingredients in your slow cooker. Low 6-8 hours, high 2-4 hours. 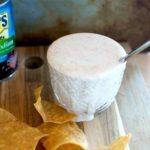 This Ranch Salsa is real winner — whether served with tortilla chips as an appetizer, or as a topping for all your mexican favorites, it’s sure to become a staple in your house! I keep it in a mason jar and put it on salad, tacos, soup, dip chips and veggies in it. It will keep for about a week.. but, mine has never lasted that long! 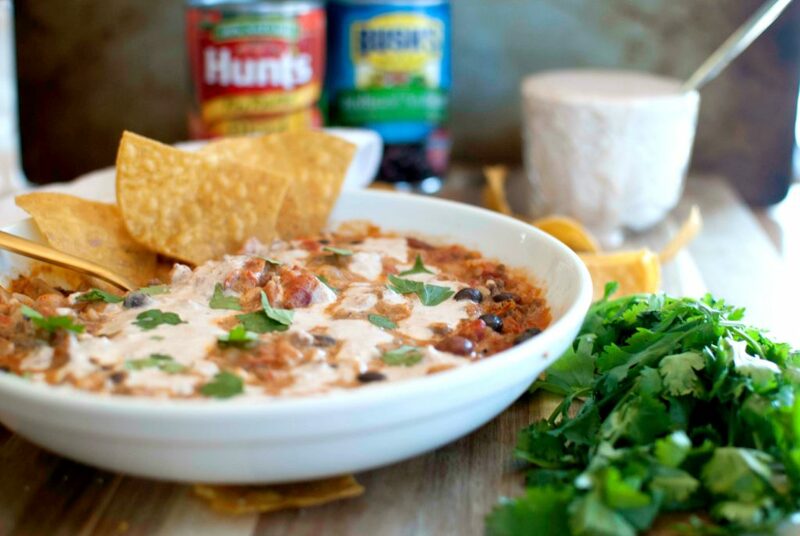 A tangy, spicy topping for any taco night! Blend in food processor or blender until smooth. You may need to add a splash of milk to thin if necessary. What are your favorite meals to have during winter?? 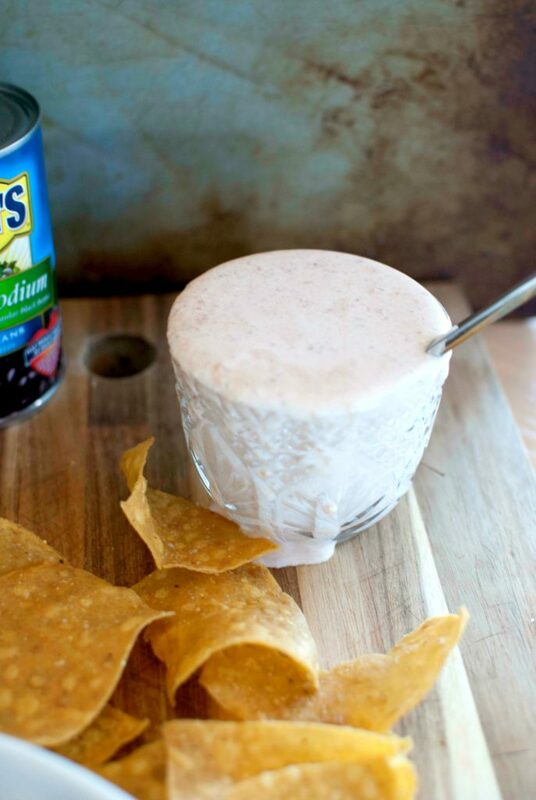 Save this to your favorite cooking board on Pinterest, so you have easy access! Mmm…I love Enchiladas! This looks like the perfect comfort soup! Thanks for sharing with us over at Creative K Kids’ last week. Please join us again this week! Thanks, Amanda! I’ll head over in just a few! Even though the weather is warmer, I’ll still be making this through the summer! Thanks for popping over!